Although there will be one more Wednesday meet, to tidy up, the work party season of winter 2014/2015 is all-but-over. The cutting, strimming, heaving, raking and burning has been done. 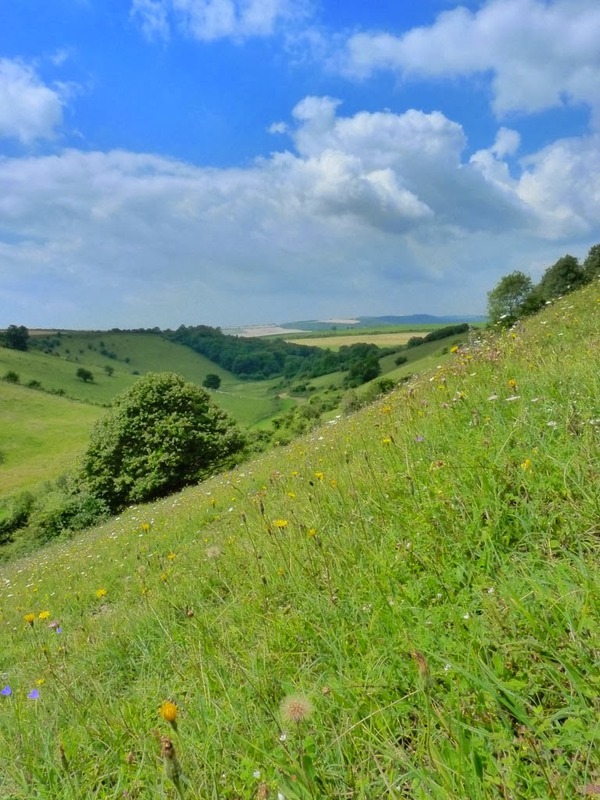 On behalf of both the Murray Downland Trust and Butterfly Conservation, I would like to say "thank you" to everyone who has given so generously of their time, and for their relentless enthusiasm. A huge amount has been achieved and the Heyshott Escarpment reserve has not looked better since long back in the 20th Century. A varied mosaic of different habitat types, at different stages of vegetative succession, now awaits the appearance (and appreciation) of Heyshott's butterflies, and a wide range of other fauna and flora. 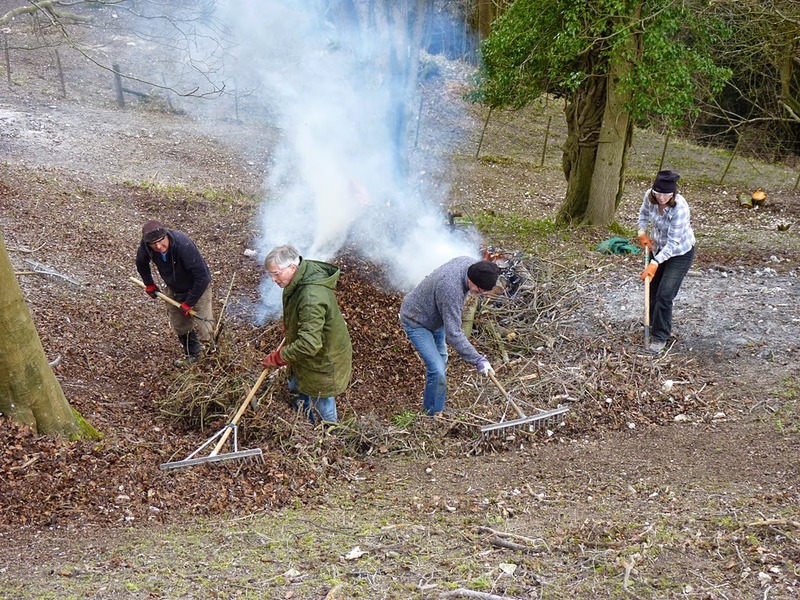 We have it all; open chalk grassland, scrubbier areas of different age groups, scalloped woodland edges, and small blocks of Beech, Ash and Yew. I am more excited than ever by the prospects for another season here. Following an autumn phase of wider scrub control, most effort has been directed at clearing a 0.5 hectare area of dense coppice and secondary woodland in Compartment 10. 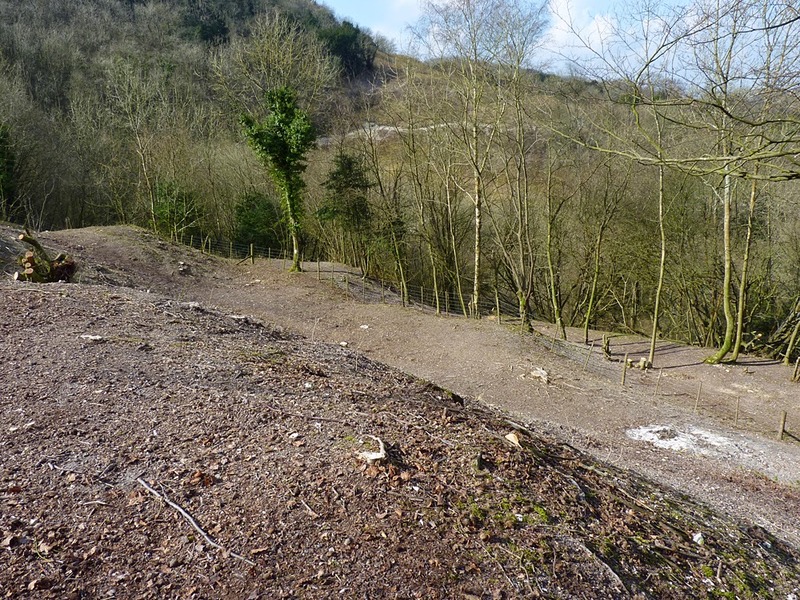 The steep, hummocky topography revealed for the first time in many decades, leading down to a newly fashioned, 'soft' woodland edge, has created a future hotspot, in both senses. Sheltered from the elements on four sides, the temperature rises here quickly, as soon as the sun shines. The butterflies and many other invertebrates are going to love it! I foresee trouble. 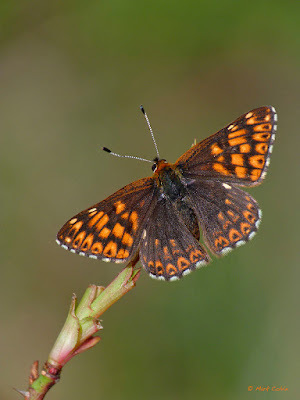 Both the Duke of Burgundy and Pearl-bordered Fritillary will want to command this space. Given the highly pugnacious nature of the male 'Duke', violence is inevitable. Primrose and Cowslip are not the only plants now bursting forth in abundance. 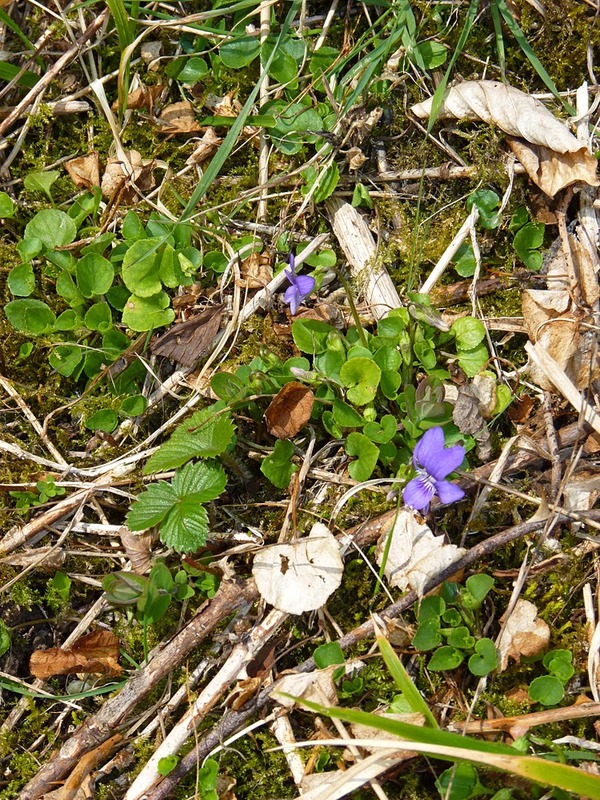 The Common Dog-violet, food-plant of the Pearl-bordered Fritillary, is common in some areas. 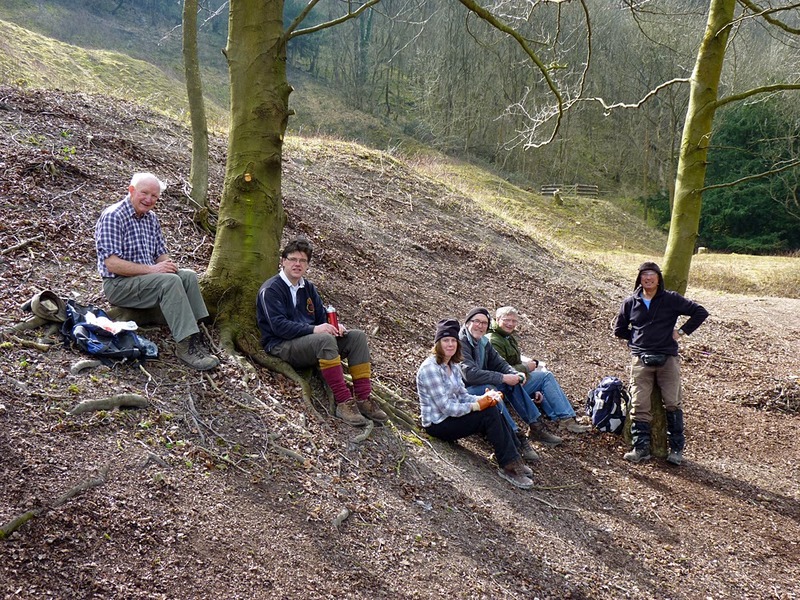 Despite the broadly north-facing aspect of the escarpment, the topography of humps and deep hollows also provides warmer, south-facing slopes. Where the violets grow amongst sparse vegetation and dried plant debris, ideal areas exist for the fritillary's caterpillar to develop.